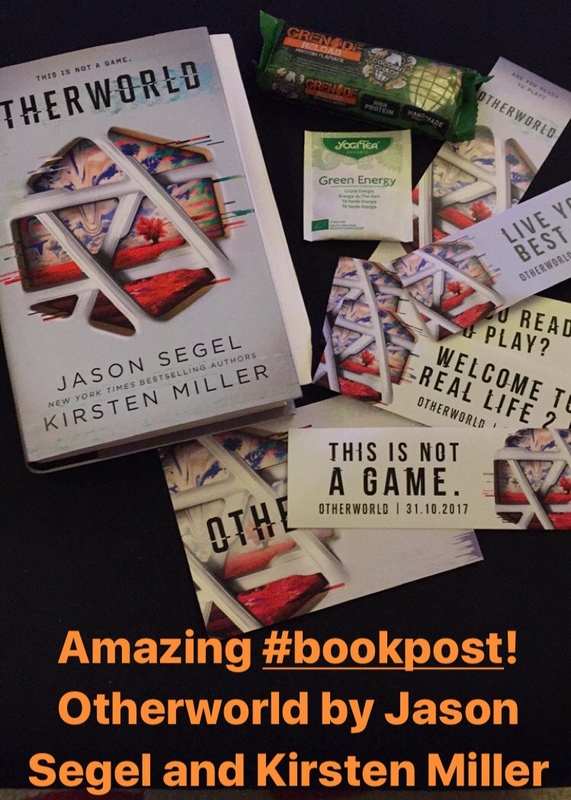 Otherworld is the first in a new virtual reality action thriller by Jason Segel (best known as Marshall in How I Met Your Mother) and Kirsten Miller. It’s the first YA book I’ve read in a while that seems to consciously try to appeal to boys, and to be deliberately edgy. There’s some quite overt male-gaze description, and the narrative style is probably best characterised as…punchy. The action of the book takes place partly in our world, somewhere in the US, where a late-teen kid called Simon – dogged by unfounded accusations of hacking – spends his time mooching around and missing his friend Kat, who he’s not seen in ages. When he does see her again, he realises something is wrong; she’s changed her look, her attitude, and her friends and is completing ignoring him. It turns out she’s mixed up with something strange related to a virtual reality game sweeping the world: Otherworld. And that’s where the rest of book takes place. After a terrible accident befalls Kat, Simon must play through the levels in Otherworld to try to find her, and also to uncover whatever sinister conspiracy has put her there. It’s tough, even for a gamer, and potentially deadly – as with Westworld, and even an episode of Red Dwarf, if you die in the sim, you die for real. Luckily, Simon is brave enough and dumb enough to risk it all. For me, this was pure switch-off-your-brain entertainment. It certainly owes a debt, but I found it much more enjoyable and fast-paced than Ready Player One as it rattles along, unhindered by lengthy exposition. While I would not have necessarily picked this up in a bookshop, it was a fast ride through a host of high-stakes situations, and I’m looking forward to discovering what happens to Simon and Kat in the next instalment. Thanks to Oneworld and Nina Douglas for the review copy. Otherworld is available to buy now. Previous PostPrevious Quick podcast update!